Go beyond the usual sightseeing tour of Manhattan to discover the outer boroughs of the Bronx, Queens, and Brooklyn. Highlights of this 7-hour tour include Yankee Stadium, Long Island City, Socrates Sculpture Park, Williamsburg, and DUMBO, and a look into the roots of hip-hop, rap, and graffiti art in New York City. Make your own way to the starting point near Times Square to board your climate-controlled bus for your tour. Head to the Bronx to see Yankee Stadium, Little Italy, and the art deco buildings along the Grand Concourse. Learn about the creative vitality of the Bronx and its influence on hip-hop, breakdancing, and graffiti art. Next up, your guide takes you through Queens, the second largest borough in New York City, and the most ethnically diverse. Check out the growth and rising skyline in Long Island City, and explore Socrates Sculpture Park — the only outdoor space in the New York metropolitan area that features large-scale sculptures and art installations. In Brooklyn, hear how the abandoned waterfront district of Williamsburg has become known for hipsters and luxury buildings. 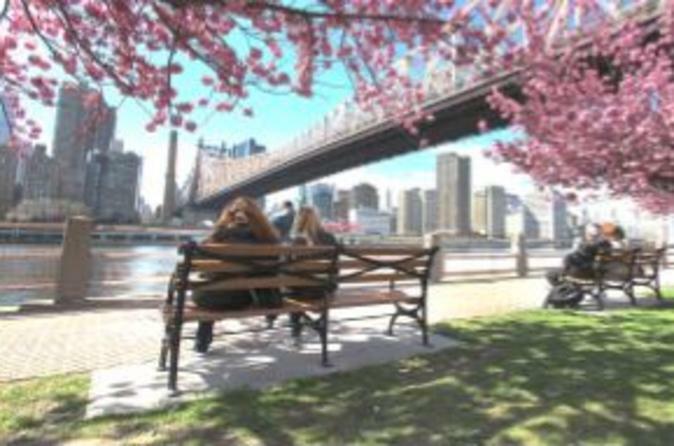 Then have free time to purchase lunch in Brooklyn before continuing your tour of DUMBO (Down Under the Manhattan Bridge Overpass), another rapidly developing neighborhood that boasts fantastic views of the East River and Manhattan. You can also upgrade to include a barbecue lunch. Your tour ends after seven hours with return to your starting point.